Sonic Lost World is racing onto Nintendo’s Wii U and 3DS systems at the end of this week in Europe, and it appears even with mere days to go there’s still a few surprises in store – one of which being that the Deadly Six Edition, once believed to be a retail exclusive pre-order bonus, will now be offered via the Wii U eShop for a limited time as well! 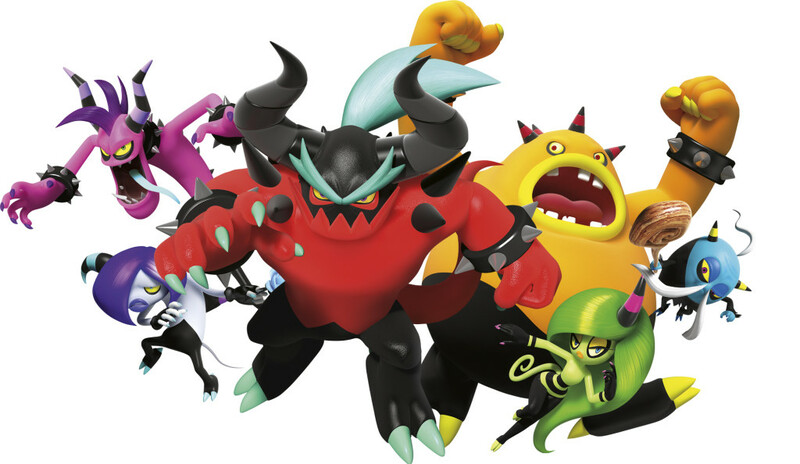 You can receive download codes for the additional level available in the Deadly Six Edition and five Black Bomb colour powers if you purchase Sonic Lost World from Nintendo eShop on your Wii U between 00:01 (UK time) on 18 October and 23:59 (UK time) on 27 October. So, if you download Sonic Lost World from the Wii U eShop by 27th October, you’ll get the NiGHTMARE DLC and five Black Bomb Wisps as an added bonus! Sonic Lost World will cost £39.99 to download on the Wii U and £34.99 on 3DS. Will you be buying them digitally when they launch in Europe on Friday? Great! I may get it from the eShop myself! Is there any news about this deal in North America? Cause, beliee it or not, Ive been having real trouble getting 50 bucks lately. No news regarding North America yet. It’s release week here in Europe, so I expect news for North America will surface during your release week at the end of October. Perhaps ask to borrow $10 from 5 people and pay them back later? Is it only for UK release date October 18 though October 27. In Europe (including UK) from 00:01 (UK time) on 18 October to 23:59 (UK time) on 27 October only, yes. It is ridiculous isn’t it. They are probably paid to actually care about other franchises so boo-hoo to us. It really does feel insulting though. All copies of the game from the first release wave of the game will include the Deadly Six DLC. It doesn’t really matter if they know about the Deadly Six DLC or not, once they have it in stock, it’s gonna be the Deadly Six Edition. Ah, I get ya. Thanks for the info. One thing I don’t understand is why is it about 7-9 pounds more for the digital copy? I thought the point of digital games was to cut costs (both on the consumer and production end) and have a more convenient way of delivery (Steam does it very well) Everything in eShop seems to be way too overpriced compared to the physical copy which is alot nicer to have and add to your collection anyways. So far the Deadly Six addition seems to be a rehash of the original bosses just with the bosses from NiGHTS as a skin. Really lazy in my opinion I just really hope NiGHTS and Reala make cameos!! Or as the skin for Super Sonic in the final boss of the Deadly Six edition since everything is a re-skin. Every first print copy of Sonic Lost World Wii U, regardless of where you get it from, will be the Deadly Six Edition. Even if a retailer is not listing the Deadly Six Edition, pre-order and you’ll get the Deadly Six Edition. Is this for people in Australia as well? I’d assume it’ll be available for every region upon release, but we only know about Europe for certain. Dang! Why Wii U and 3ds. I don’t have those things because its too expensive. Why don’t they stick to the Wii?